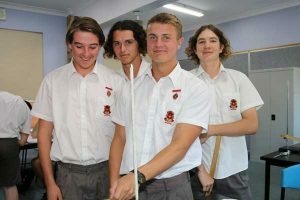 As and Edmund Rice Community we are committed to nurturing the spiritual growth of each person through reflection, prayer, symbols, sacred stories, rituals and sacraments. 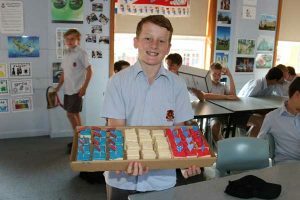 As a catholic school conducted in the traditions of Edmund Rice, it is important that we take time as a community to reflect on the important sacred stories that underpin our faith and our values. Easter and the sacred story of Jesus’ death and resurrection is the most important Christian festival that is celebrated with great passion. As Christians we believe that Christ undertook suffering and death willingly on our behalf, in obedience to God the Father, so that all humans may live in hope for a new life with Him and God the Father in Heaven. On Friday April 12, the St Edward’s and St Joseph’s communities will join in celebration of Easter and Holy Week, through a powerful and meaningful liturgy. The exceptional talents of students from each school will once again be on display in musical items, liturgical dances and a drama representation of the Stations of the Cross. This annual event and the telling of the story of Jesus’s death and resurrection in a relevant and engaging way, combined with prayerful reflection, is designed to foster the spirituality of all community members and to deepen our understanding of the importance of Easter. I would like to thank the many staff and students from each College who are working with students in preparation for this wonderful celebration of our faith. The Term 1 Interim Reports will be uploaded to the College Portal on Friday 12 April. These reports are the first formal feedback provided to parents and students for the Year. The focus of this report is to provide you and your son with specific information in relation to his level of application and effort to his studies and not on his performance in terms of a mark or grade. The descriptors in this report are based on the College’s Code for Learning, which outlines the expectations of all students in relation to their learning. These reports will be provided in Term 1 for students in Years 7-11 and Term 3 for students in Years 7-10. The semester reports at the end of Terms 2 and 4 will continue to provide more detail including a grade, achievement of course outcomes, a classroom profile based on the Code for Learning and a comment by class teachers in each subject. Year 11 students will receive a more detailed report at the end of the Preliminary Course, which they complete by the end of Term 3. 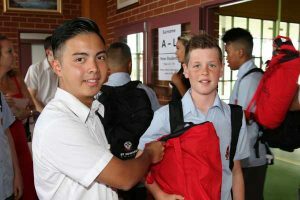 Year 12 students and parents will be provided with a report early in Term 2 based on their performance on their Course assessments to date, as well as a Trial HSC Examination Report. A Staff Development Day is scheduled for Monday 29 April and classes will begin for students on Tuesday 30 April. At the Staff Day, teachers will be participating in a range of ICT workshops designed to assist in developing teaching strategies that will challenge and engage students in their learning. Parent Teacher Nights are scheduled for Wednesday May 1 and Thursday May 9. 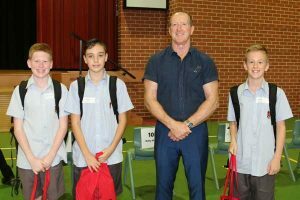 These interviews provide an excellent opportunity for you to meet with your son’s teachers to discuss in more detail his progress in relation to his learning goals and achievements for the term. It is important that your son attend these interviews with you. You will receive an email with the details on how to log in to the Parent Teacher Online booking system and I encourage you to book these interviews early, to ensure that you do not miss meeting your son’s teachers. Term 1 has once again been a very busy start to the year. 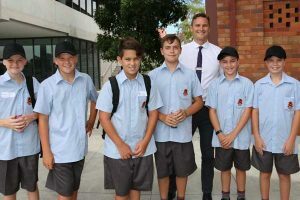 I would like to congratulate and thank many of the boys who have applied themselves to so many of the academic, spiritual, social justice and extra-curricular activities throughout the term. The holiday break provides a good opportunity to relax and reflect on the start to the year and to re-energise for the term ahead. I wish all students and their families a safe and happy holiday. The College is now accepting enrolment applications for Year 7, 2020. 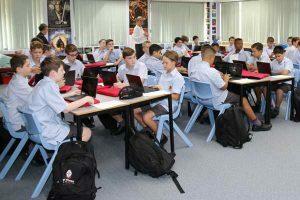 The enrolment process is now completed online via the College website at: https://www.stedwards.nsw.edu.au/news/enrolment-for-year-7-2020-now-open/. The enrolment information clearly outlines the enrolment criteria. Applications received after Monday April 8, will be processed as late applications. Every family applying for their son to attend St Edward’s will be offered an interview with a member of the College Leadership Team. This interview is designed to provide parents with an opportunity to ask questions that are more specific about the College and enrolment process. Places at the College are not offered at these interviews and first round letters of offer will be mailed to families by the end of Term 2. Current families who are aware of family or friends who wish to apply for their son to attend St Edward’s, are asked to encourage them to visit the College website for information about the College and the process of enrolment.